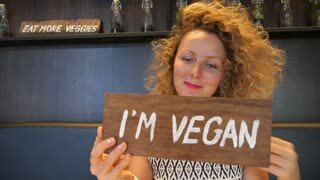 Pretty Young Woman Posing with Vegan Sign. Healthy Eating Concept. Dieting. Close up of a mature beautiful happy woman smiling seductively talking on the phone holding an apple housewife healthy eating dieting technology calling mobility carrier concept. Pretty cheerful young woman posing with fresh green lettuce leaves. Healthy eating concept. Dieting. 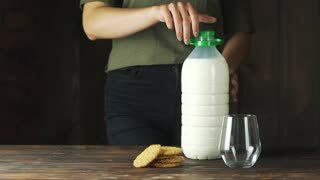 Milk is poured into a glass at a slow pace, ideal for a diet for a healthy diet and can be used as a medicine. concept: diet, fitness, carbohydrates.